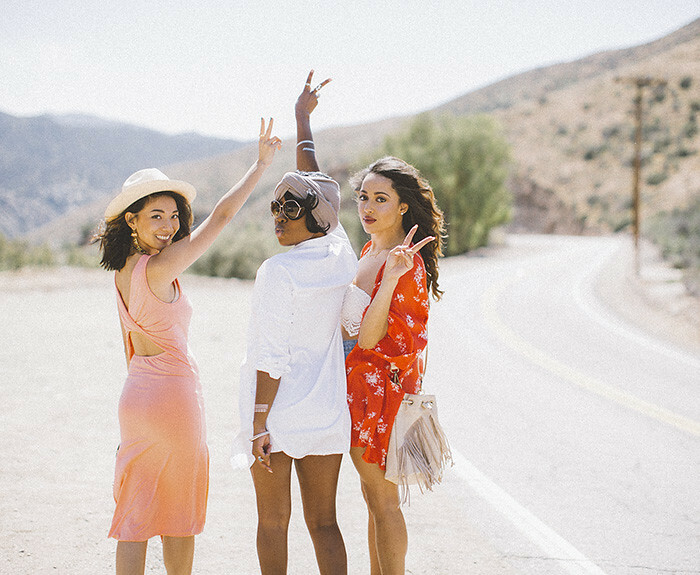 I took to the desert with two of my favorite blogger babes and Lulu*s.
My lovely friends Elizabeth, Enocha, and I roadtripped out to the desert to get our first taste of summer festival season. Riding along the highway with the wind in our hair and the sun shining down was such a fun and perfect weekend experience! 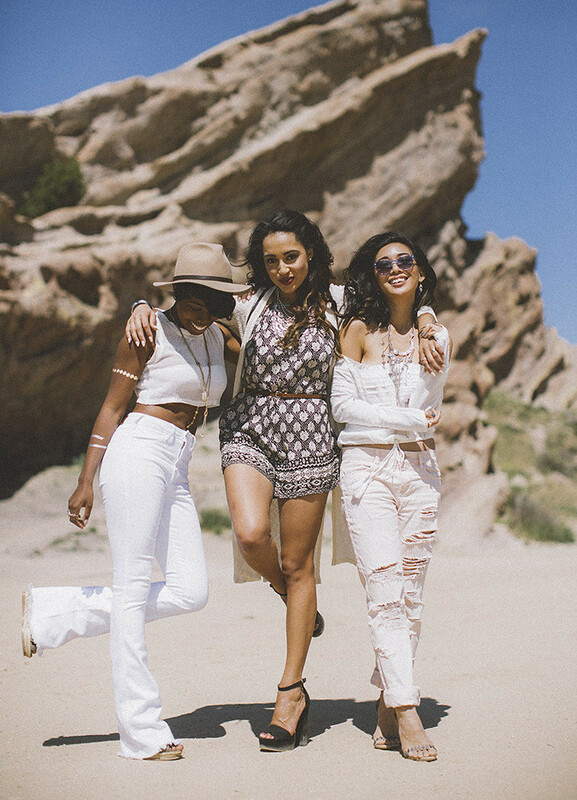 We partnered with Lulu*s to create three different looks, each inspired by our unique styles and the Coachella party haze ahead. Our day was filled with venturing on rocks, dancing on cars, and soaking in the sun. Check out our fun video above and don't forget to check out Elizabeth's and Enocha's blogs to get all the outfit details! Love all those looks! the "Save water drink champagne" dress was funny and the peach dress you're wearing with the cut out back is perfect! 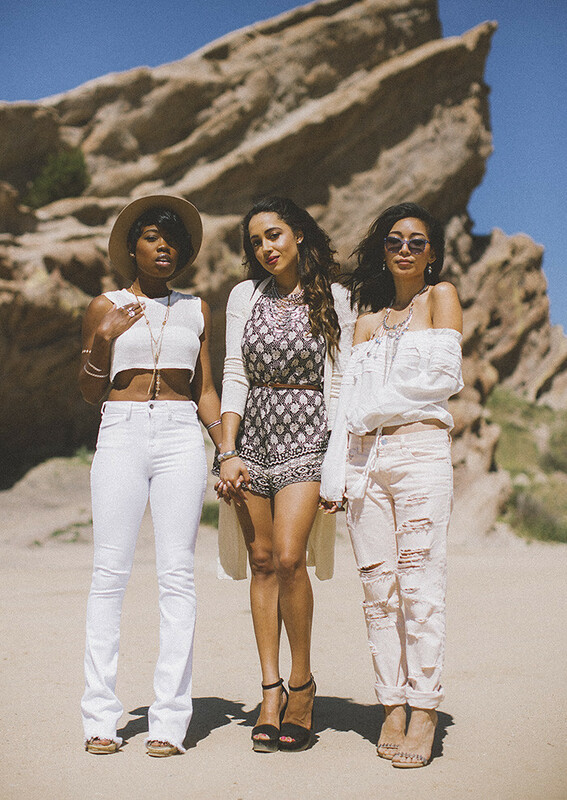 Love the beautiful festival looks! I'm so excited for festival season!! Love this.